We decided to keep his party low key this year. But when Minted contacted me about trying out some of their new Party Decor, how could I say no?! If you don’t know Minted, you need to! 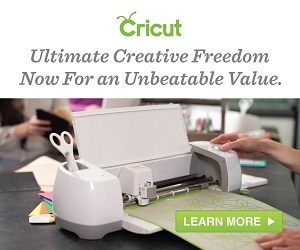 They are an online paper store that carries products from Independent designers from all over. They have invitations, art prints, journals, calendars, stationary… I could go on and on. I am a long time Minted lover but have never tried their decor section. I was super surprised with the amount they had to choose from. I even had a hard time narrowing it down, But then my husband reminded me that my son is a boy. They have so many really cute themes that aren’t over done! I went with the Super Hero Theme, an instant winner for my boys! The cool thing is they customize your order and you can get everything you need right there in the box! All the decor, stickers, banner etc. even the plates and serving wear! I ordered the scalloped stickers for the cups and the flag stickers for our Ice Cream Sundae Bar :) I picked up some paper straws too. The custom bunting was HUGE! And I loved it because we have a long spot to fill over our bar. We served hot hogs and chips so I used the “eats” signs for the food table. And I used the “sweets” sign for our Ice Cream Bar after dinner. These were custom, you could enter any word to match your party. I put this smaller banner and the chalkboard behind the food table. I used kabob sticks and marshmallows to hold up the flags for the ice cream toppings. I love these little flags, it’s just one long sticker that folds in half to make a flag. Happy Birthday Sweet Boy XOXO. These decorations are awesome! I love the idea of getting it all in one box like that. I tend to get a little out of control with kid’s birthdays, but it would be nice to have something like this in my back pocket. I know what you mean about feeling “official.” I still sometimes feel like I’m not quite a real mom yet (mine are 1 and 3).